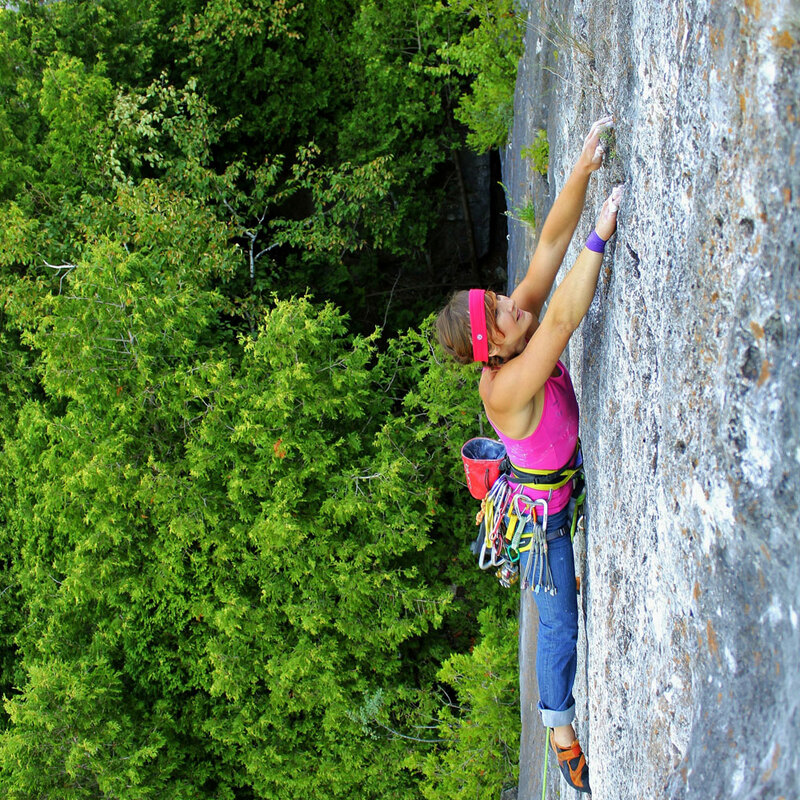 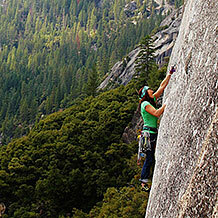 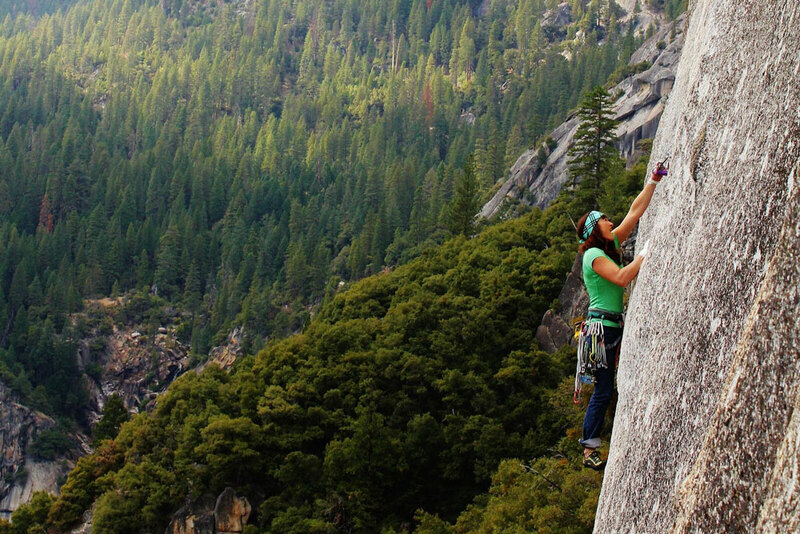 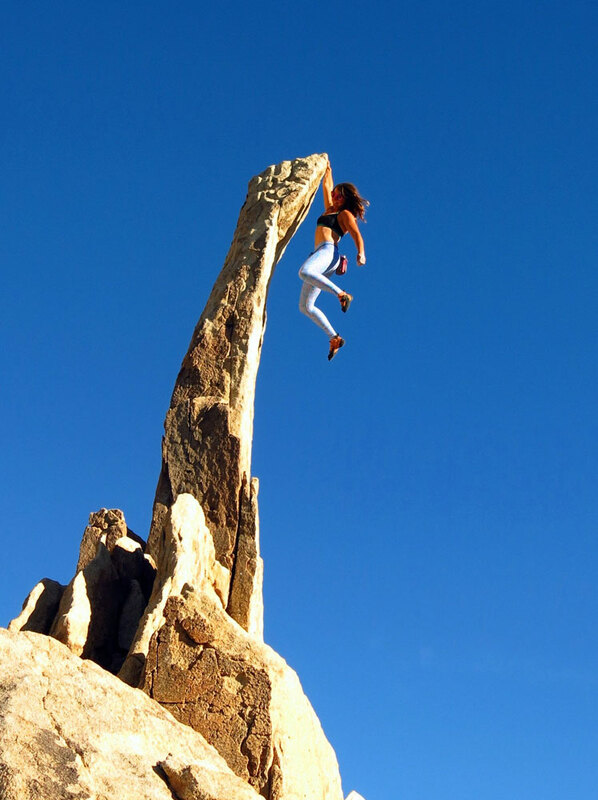 Leslie Timms is a professional rock guide and owner of On the Rocks Climbing Guides in Thornbury, Ontario. 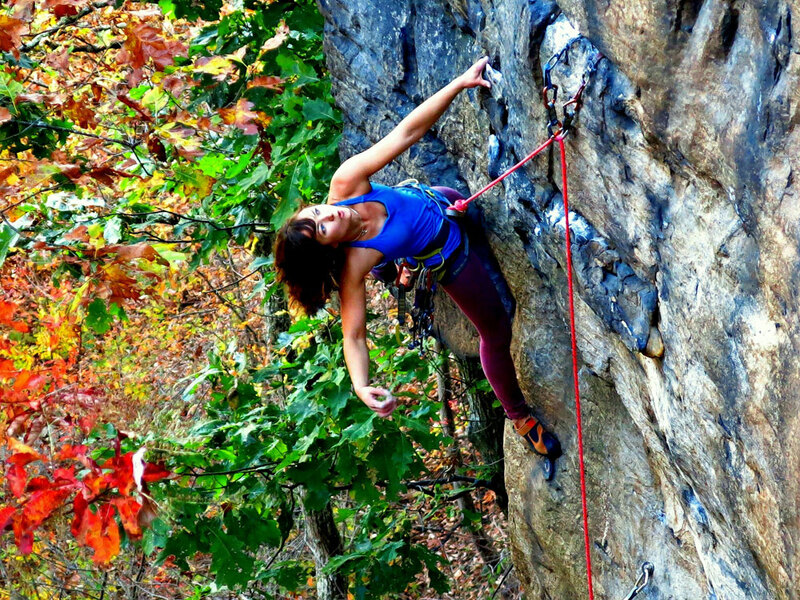 She spends April through October each year running a successful climbing guiding company and teaching PCGI guide certification courses across Ontario (www.climbingguidesinstitute.org). 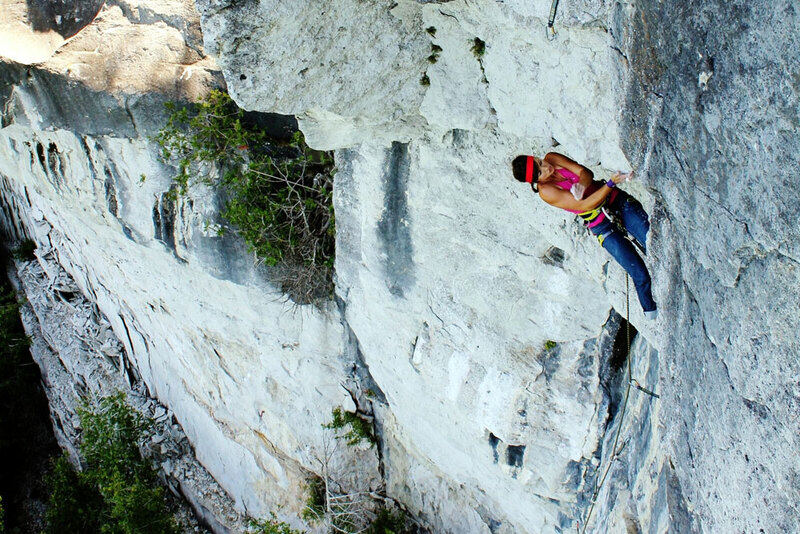 Her days off from guiding are spent climbing and developing new routes along the Niagara Escarpment. 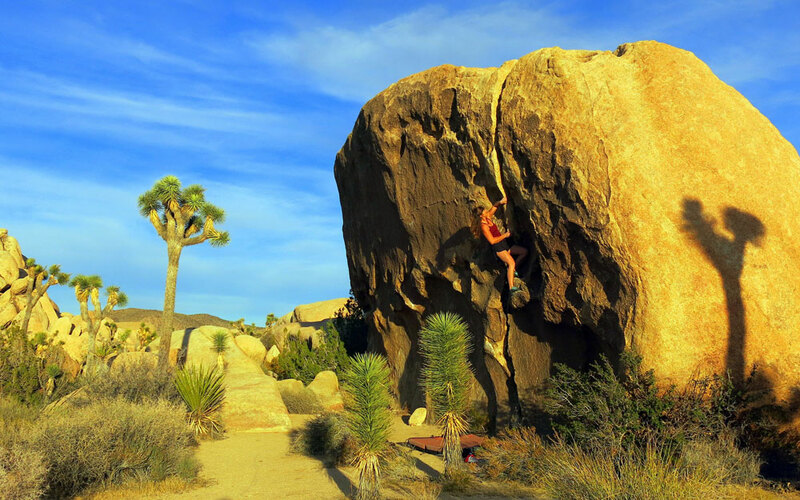 During the Canadian winter months, Leslie and her husband hit the road with their 13ft trailer “Trilly” to chase sun and climb rocks across the US and globe. 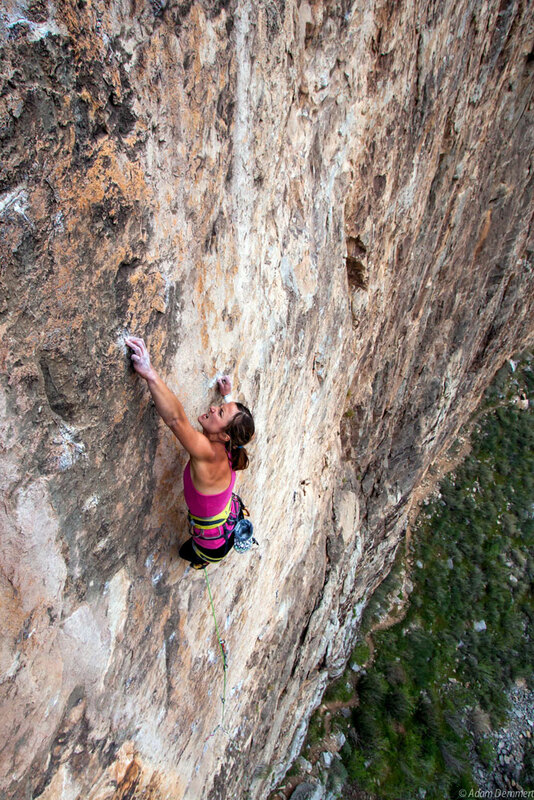 She loves to push her limits in all styles of climbing, but most passionately pursues difficult traditional routes, and epic adventures. 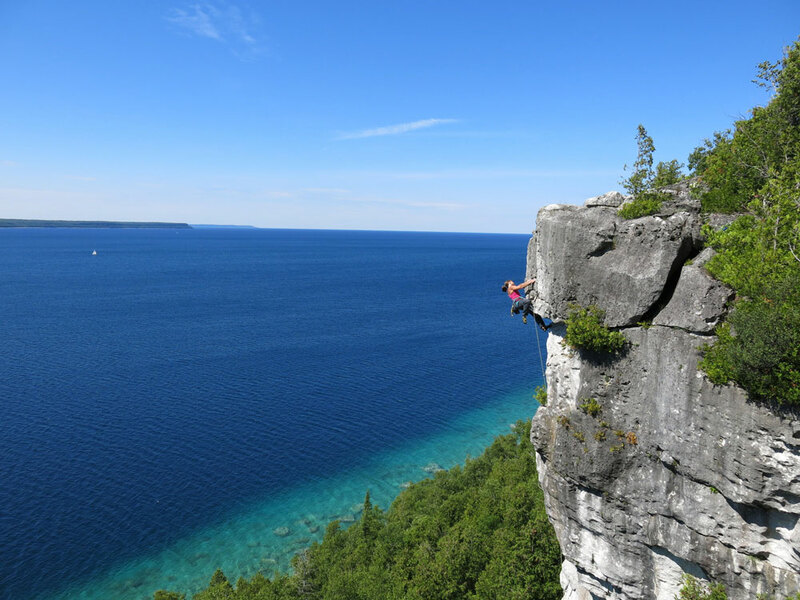 Her most memorable ascent was getting the FA of the most difficult traditional/mixed route at Lions Head, Ontario: Above the Clouds 5.13b. 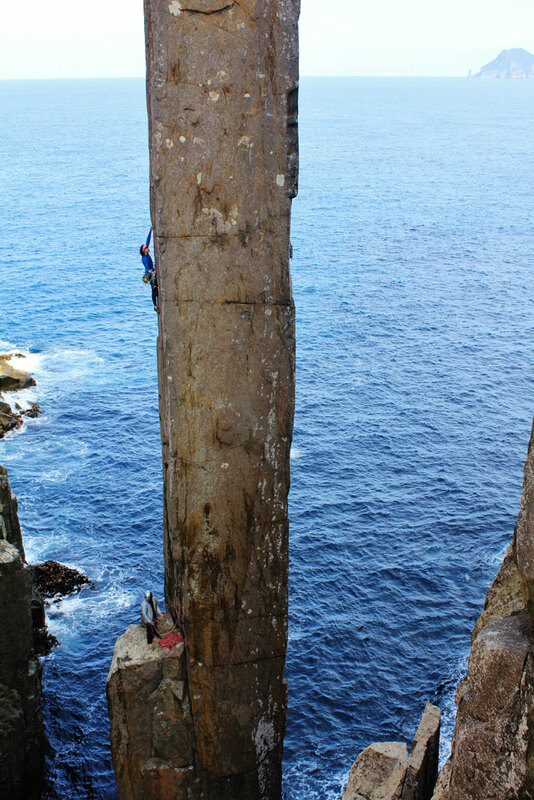 This impressive 45m line summits the famous Lions Head Lookout via dauntingly steep roofs and cracks. 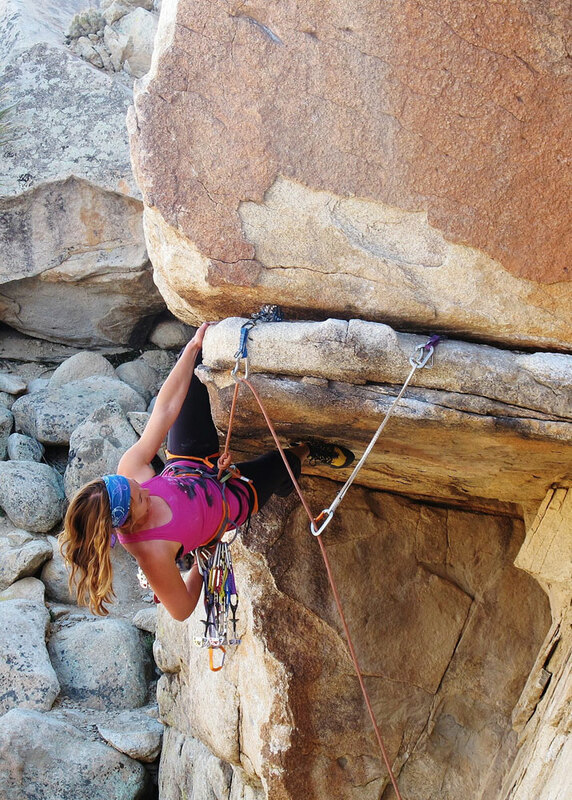 Close seconds were achieving one of the first few ascents of Malice 5.12d, a bold traditional roof in the Grampians, Australia, red-pointing the John Bachar trad test piece: The Acid Crack 5.12d in Joshua Tree, CA, and sending Sacred Geometry a 5.13b traditional face climb in the RRG, KY.
Leslie is equally passionate about sharing her knowledge and climbing experience with climbers that are making the transition into the outdoor realm or looking to push their personal limits on the rocks. 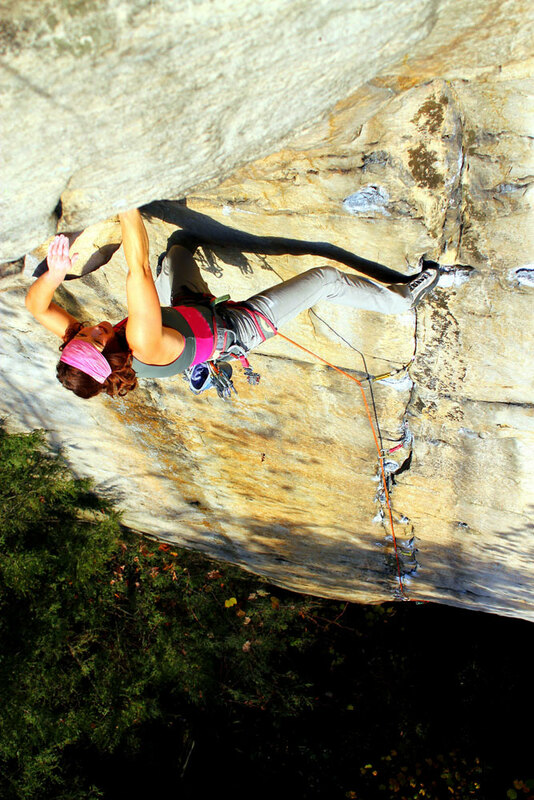 Adventure sports and guiding have been her motivation since high school and college years, where she graduated with honours from the Outdoor Adventure Program at Algonquin College. 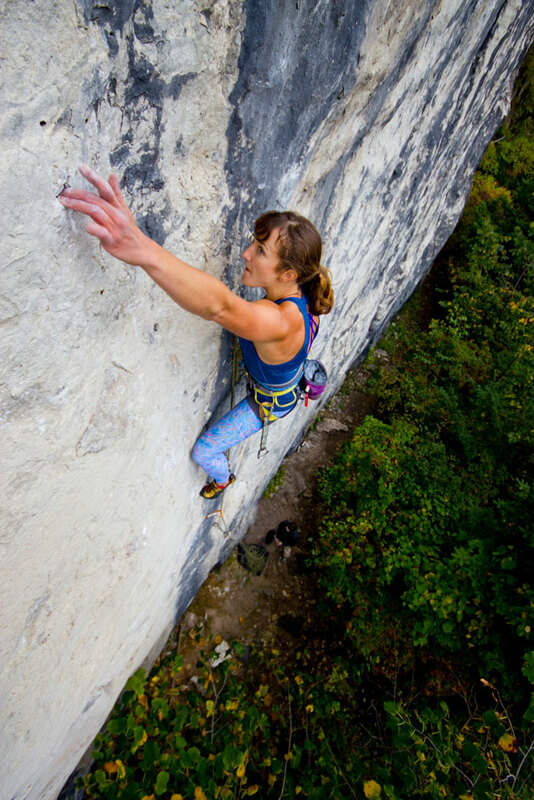 Leslie is a fixture in the Ontario climbing community, and continues to push herself to new levels in the sport, year after year.